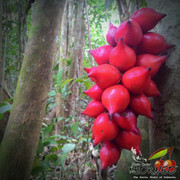 "Tropical Fruits Seeds of BORNEO"
This page will be constantly UPDATED, so please bookmark this page...!! * Just send PM to me. Please write clearly your order, such as the name and quantity. * Then I will calculate the cost for you. * If the deal then I will send you my paypal account and make your payment. I'm lucky to be able to get this fruit again after a few seasons they never bear fruit. Yes, they do not always bear fruit every season. I slightly raised the price because of the long trip to pick up fruit, sorry about that. Taste : mixed sweet and sour, very fresh. 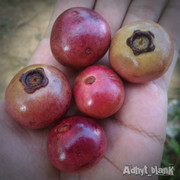 is one of the most wanted by fans of the rare fruits. Baccaurea angulata have 2 varieties, finned and without finned. This one is without fins. Taste : sweet, little sour, very fresh. In the language of Dayak, "Telur Kotap" mean = Telur (eggs) and Kotap (similar animals such as turtles). So the fruit is about the size of kotap eggs. 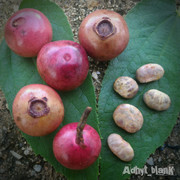 The taste like "Tampirik" without any sour, but smaller size. 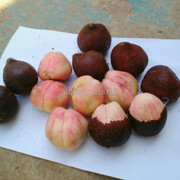 Taste : sweet, white flesh and has a scent like guava. 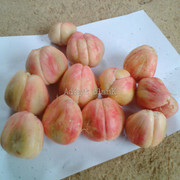 is one of the most wanted by fans of the fruit, due to the uniqueness that is reddish flesh (Has two varieties, white flesh and red). Taste : Have a sweet taste and a slightly astringent. 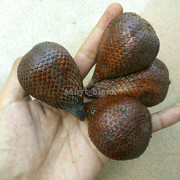 As the name suggests, is the sweetest salak than others, although most petite size. The shape is somewhat rounded and there is such a tiny barbs on its skin. The water content quite a lot. 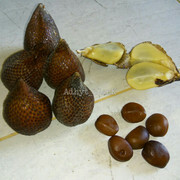 Because that's sweet and juicy, this salak sometimes fermented into winesalak containing 13.5% alcohol. Salak with the best taste. Taste : 100% sweet taste without any sour taste. Pondoh is very popular in Indonesia, from Yogyakarta but can be found in almost all cities in Indonesia. I have 2 varieties, small and big size. I compare them, please check the picture below. is one of the rare durio species in Borneo. 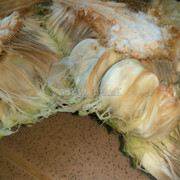 Durian looks very pretty and beautiful to the eye. The flesh bright red that is very impressive. Unfortunately they do not have a taste. Maybe there is someone who can give a taste ? I'm not sure with this species. Maybe is anisophyllus, but with a smaller size and rounded. The fruit is sweeter than mentawak, and without a sour taste. Initially I guess this is cayratia mollissima, but then I saw the leaves and seeds of their is different. Anyone who knows please tell me what this is. Hi, my name is Adhyt. I live in central Borneo and is a new member on the forum. But I have learned a lot from the experts. 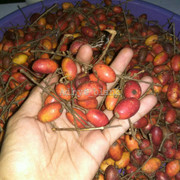 People here call it as Siwau fruit. The fruit is about the same from rambutan, but different. 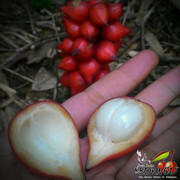 It has a very small size and taste more challenging than rambutan. Can you further define "more challenging taste". Can you show us how much seed to pulp there is? This fruit has a sweet taste with a slight sour taste mixed. and means challenging is that you can swallow the seeds if you want , because the seeds are very small. Many children here to eat it by swallowing the seeds because they do not know, but it's not a problem. 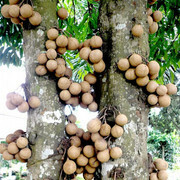 This is in comparison with rambutan. "Siwau" much smaller with a very thin skin and believe me it was very cute. Nice to meet you Ali, thank you very much friends. And hopefully established good cooperation . I too will look with interest in anything you have for sale in the future. Okay Jhon ... future if I find rare fruit I will post here. 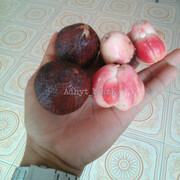 Re: [UPDATE] "BORNEO Rare Fruit"
wonder how much you charge for srikaya? Say for 5 seeds? How is the texture n taste? Pampakin almost like family other durian , pampakin softer flesh of durian , orange and slightly golden . Pampakin not have a smell like durian . 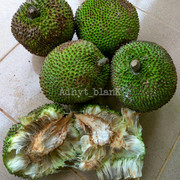 So it is the fruit of an alternative for those who do not like the smell of durian . 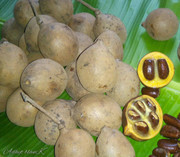 Re: [NEW] "BORNEO Rare Fruit"
Just curious, do you always encounter mentawak with the same flavor and size or do you think there are several varieties of this fruit? 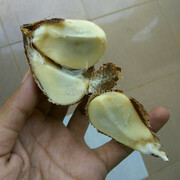 how about taste of Garcinia forbesii?? Taste is very fresh, with a mixture of sweet taste and sour. Garcinia forbesii is grown around here a bit and they are not often as big as those.I wonder if that could be Garcinia parviflora? 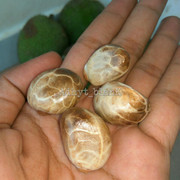 The seeds are flattened and prone to drying out so it is good to plant them fast. * Please send a PM to me. * Then seeds will be sent to you. Re: [BORNEO] "Willughbeia angustifolia & Willughbeia sarawakensis"
Could you please describe both species? In your opinion, which one tastes better?